Comedy (from Greek: Kωμωδία), in modern times, it is a drama which has a generally funny content and are able to make people laugh. 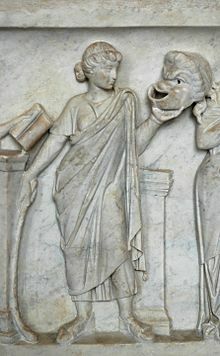 This definition was used for theatre plays, and was first used in Ancient Greece. Aristotle defined this as “Comedy is, as an imitation of characters of a lower type- not, however, in the full sense of the word bad, the ludicrous being merely a subdivision of the ugly. It consists in some defect or ugliness which is not painful or destructive. 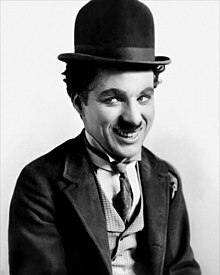 To take an obvious example, the comic mask is ugly and distorted, but does not imply pain.” To him, the lampooners became writers of Comedy and the truly artistic ones became writers of Tragedy. Comedy is also a media genre that is for television shows or movies that are either funny or silly. People who are known for acting in comedies are termed as comedians or comedic actors. 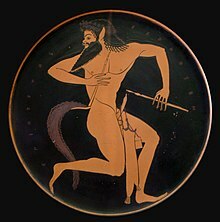 Another type of Ancient Greek theatre was the satyr play. This was mock drunkenness, brazen sexuality (including phallic props), pranks, sight gags, and general merriment. The modern equivalent would be knock-about comedy. A parody or spoof movie imitates or exaggerates another person or movie to make them seem silly, dumb, or just plain out of it.